Yarra Capital Management - Australian credit the 2019 safer haven? Australian credit the safer haven? 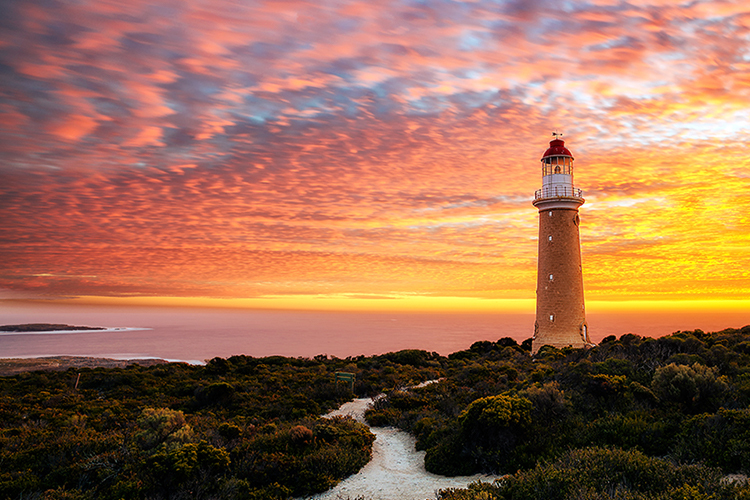 Phil Strano, Senior Investment Manager at Yarra Capital Management, looks once more to the US market and explains why at this time Australian credit looks to be the 2019 safer haven. The US government’s deteriorating fiscal position relative to Australia’s is generally well understood; US Government Debt to GDP is greater than 80% with the annual US budget deficit expected to grow to in excess of $1 trillion by 2022 (~5% of GDP). By contrast, Australian government debt to GDP is ~40% with its budgetary balance moving to a surplus by 2020. 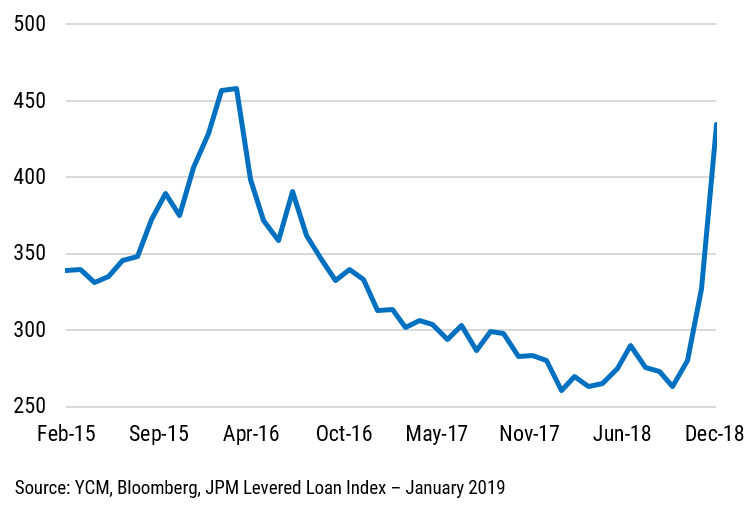 Corporate debt, on the other hand, is not well understood. US corporate leverage is approaching GFC highs, while Australian corporate leverage has declined significantly since the 2016 mining boom peak (refer chart 1). The chart shows corporate leverage in Australia and the US moving in opposite directions. 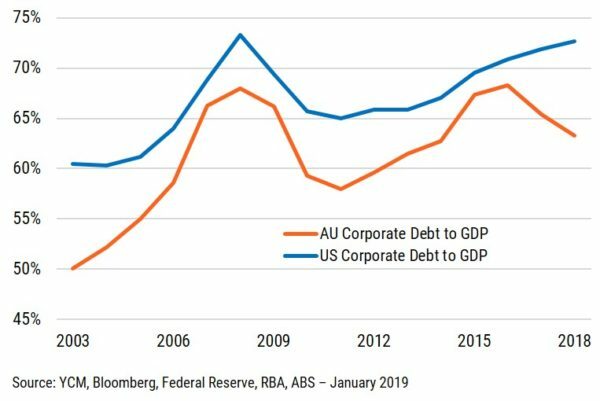 In percentage terms, US corporate debt today is ~10% higher and rising as Australia, post regulatory capital changes and the Financial Services Royal Commission, continues on its deleveraging path. These trends bode well for the Australian credit market’s relative resilience in 2019. 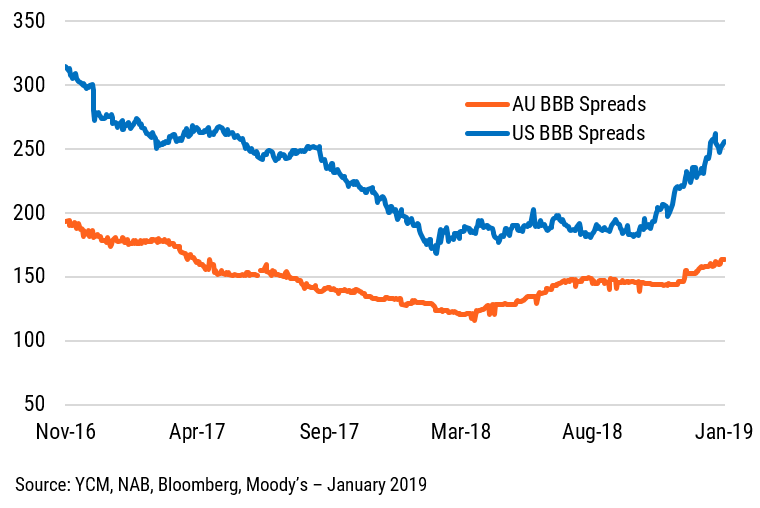 Capital losses in US credit were not solely confined to the US higher yielding market, with a combination of significant expansion in credit spreads and longer spread duration driving similar losses in US investment grade credit (i.e. US BBBs). By contrast, Australian credit significantly outperformed US comparables (chart 3), with spreads out by an average of 20bps across investment (IG) and sub-investment (HY) grade categories resulting in a much smaller comparative capital loss of less than 1%. This is readily recoverable from recurring portfolio income. The respective performance of the Australian and US credit markets in late 2018 provides further evidence of their respective risk-adjusted return characteristics. Put simply, Australian credit is better positioned in 2019 to provide investors with less volatile income generation from actively managed portfolios than US credit due to its lower risk and stickier return profiles. From a stock selection perspective, we are attracted to deleveraging stories such as Nufarm and Virgin Australia. Both have stabilised their credit profiles with the ASX-listed Nufarm perpetuals (+520bps) and Virgin Australia’s 2023 MTNs (+540bps) offering compelling risk-adjusted returns. We remain attracted to similar robust credit profiles offering higher risk-adjusted returns across both IG and HY. Retail REITs deals a concern for debt investors? Anyone for a REITs ‘bargain’? Is the future closer than you think?